This is part of a compensated program with DiMe Media and Allstate Foundation. As always we’re passionate about the topic and our views are completely our own. The more I survey parents of teenagers or older kids (age 10 and up), the more I realize that the biggest fear they have is associated with their teen learning to drive. For a parent it’s not only watching their baby continue to grow up and be more independent, but it’s the fear of not being able to control their kids once they get behind the wheel of a car. 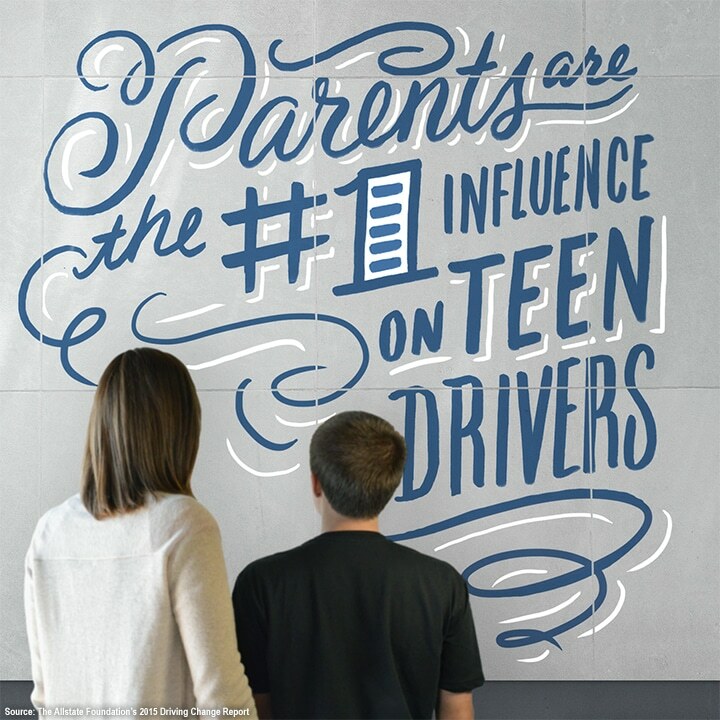 Working with the Allstate Foundation on the organization’s Teen Summer Driving Safety campaign has made me aware that there is a process that starts way ahead of driving age that can strongly reduce the parental fear and save lives. 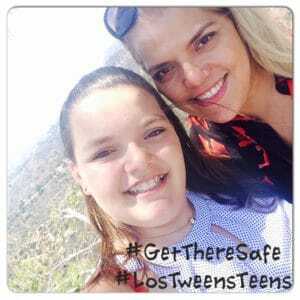 What is the NUMBER ONE WAY TO REDUCE PARENTAL FEAR ABOUT TEEN DRIVING? C O M M U N I C A T I O N. Talking with your teen early about safety. 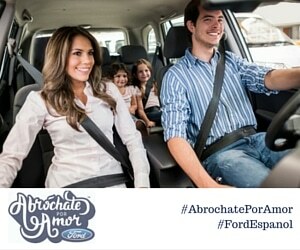 Our amigos at the Allstate Foundation have created a series of extremely helpful bilingual tips to help your family get started on this process. Make sure you’re modeling safe driving habits- they’re watching you! Don’t speed through yellow lights! I must admit I’m stopping at lights as they’re changing more than ever before. Have an agreement in place. Use the Allstate Driving Agreement with your teen. Setting expectations is so important and can literally save lives. Really mentally prepare to dedicate time to working with your teen on their driving skills. Consider this your new ‘potty training’ that needs real focus for success! Mom Michelle and her teen daughter Gianna are talking about safe driving among many other teen topics more than a year before Gianna can legally drive. Early communication is key. I don’t think any amount of communication and preparedness will ever fully remove a parent’s worry once their child starts driving- but having a solid plan can help. When kids are older we often take it for granted that they can take more care of themselves. But… good driving skills take time. Modeling good behavior takes time. Ongoing communication takes time and focus. Are you ready? You must be! You also need to think through the consequences if your teen driver doesn’t meet the expectations you’ve set together. For example, if your limit for passengers in the car is three but you find out that they had five in the car- then what? You should have real consequences for missed behavior ready so that it’s not a surprise and you actually do what you said- this is key! This topic can go on but the best ideas, solutions and bilingual information really are on the Allstate Foundation site: http://tenyearsofdrivingchange.com/resources. And, HURRY- the Foundation is running an Instagram Sweepstakes through July 3 that includes prizes up to $1000! Details about the giveaway are on the site. This entry was posted in For Mothers & Tias, Teaching & Education Tips, Teen Driving, Videos and tagged Allstate, driving, safety, teens. Bookmark the permalink.